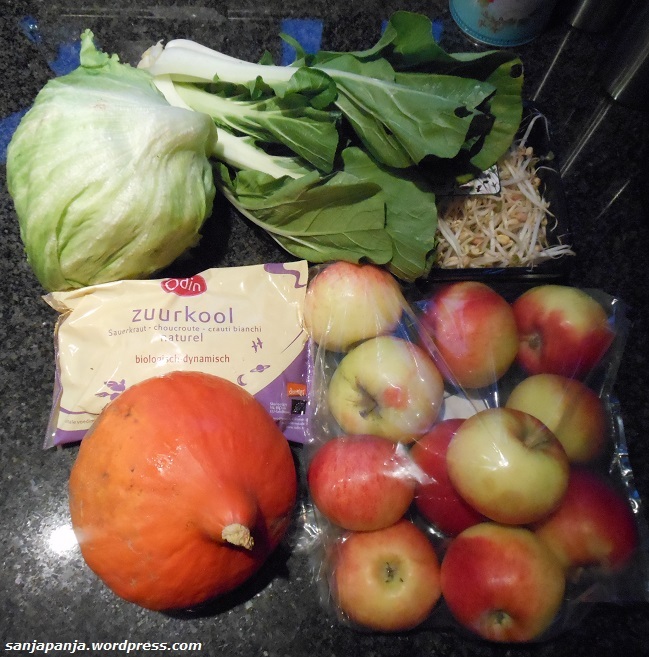 Iceberg lettuce, Chinese cabbage, bean sprouts, sauerkraut, pumpkin and apples. This is not going to be enough for a week, so I will post what we get another day from the supermarket. This entry was posted in Weekly organic fruit and vegatables and tagged apple, bean sprouts, Chinese cabbage, iceberg lettuce, odin, organic fruit, organic vegetables, pumpkin, sauerkraut. Bookmark the permalink.